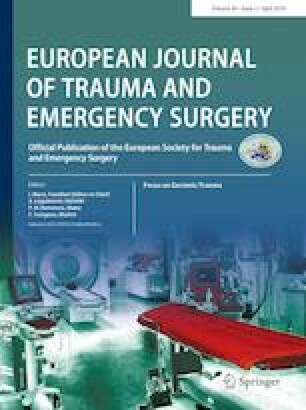 There have been no prior case series of isolated iliac wing fracture (IIWF) due to low-energy trauma in geriatric patients in the literature. The aim of this study was to describe the characteristics of IIWF in geriatric patients, and to present a case series of IIWF in geriatric patients who underwent our minimally invasive screw fixation technique named ‘iliac pillar screw fixation’. We retrospectively reviewed six geriatric patients over 65 years old who had isolated iliac wing fracture treated with minimally invasive screw fixation technique between January 2006 and April 2016. Six geriatric patients received iliac pillar screw fixation for acute IIWFs. The incidence of IIWFs was approximately 3.5% of geriatric patients with any pelvic bone fractures. The main fracture line exists in common; it extends from a point between the anterosuperior iliac spine and the anteroinferior iliac spine to a point located at the dorsal 1/3 of the iliac crest whether fracture was comminuted or not. Regarding the Koval walking ability, patients who underwent iliac pillar screw fixation technique tended to regain their pre-injury walking including one patient in a previously bedridden state. The visual analog scale score for pain at the last follow-up was quite satisfactory. Union was achieved in all patients at the last follow-up. Geriatric patients can have a form of IIWF caused by low-energy trauma that is a type of fragility fracture of the pelvis. Because subsequent deterioration of their walking status followed by a long period of non-weight bearing in geriatric patients could be as threatening as the fracture itself, the treatment paradigm for IIWF due to low-energy trauma in geriatric patients should differ from that due to high-energy trauma in most patients. In these types of fractures, minimally invasive surgical management that includes iliac pillar screw fixation can lead to good outcomes. We thank Yong-Woo Kim, Sang-Heon Lee and Kyong-Jun Kim for their help in correcting English grammar for this article. Ethical clearance has been taken from the institutional ethical committee.